How Much Money Can You Make Freelance Writing? The great thing about freelance writing is that you're working from a computer, and can access your jobs anywhere in the world. The variety of topics to write about, writing job styles, and client personalities means you'll never run out of fresh and interesting work. Take on as much or as little as you want! Freelance writing has taken off as a field. The idea sounds amazing – especially as so many people already have the basic skills needed. But, how much money can you actually make as a freelance writer? And, more importantly, is freelance writing a realistic long term career idea? In this post, we’re examining the income potential from the field, along with how you can increase your earnings. After all, there is more to it than just being a good writer. Some freelance writers are able to support themselves and make a good income. Others struggle and earn very little. Let's make sure you're in the first group. Freelance writing is a huge field – and there is considerable variation. Some people make top dollar with skilled writing and good clients. Others make next to nothing and might spend more time looking for work than actually writing. Writers also don’t make a set salary, like in a normal job. Most writers will have relationships with multiple different websites and clients. Income may be consistent, or it may be unpredictable. Part of being successful is taking on enough clients to provide yourself with consistent income, but leaving enough room to form potentially profitable relationships in the future. How much a writer earns is affected by many factors. The type of writing is a key aspect. Other areas which affect income levels are going to include education, experience, which clients they work with, how well the freelancer markets themselves (negotiation), and billable hours. At the low end, freelance writers can earn very little. Some may be making $1 an hour or less. The average is around 3 cents per word for the bottom tier of writers, but it really depends on what field you're talking about. For affiliate content I purchase for my websites, I rarely pay more than $0.05 per word, and my peers laugh that I pay so much. There are plenty of higher-end clients and topics that will pay 10 cents cents per word more, but to get to the top tier of more the 25 cents per word, you need to be writing some seriously profitable, niche topics, for a client with deep pockets. Some writers, when paid on an hourly wage to account for research and other tasks involved like formatting content, can earn $250 per hour! Some report earning more than six figures in a year as a freelance writer. Those figures sound unbelievable but they’re not even the top tier of the industry. This reminds me of the plumber that charges $100 to turn on a faucet. $10 for turning the faucet, $90 for knowing which thing to turn. Specialized skills are in demand, no matter the industry. There are also many freelancers in the middle. I’ve seen many people earn a full-time income from writing alone, despite not having amazing marketing skills. More than anything, they were simply persistent and realized the value of their skills. In many ways, the income potential is unlimited. 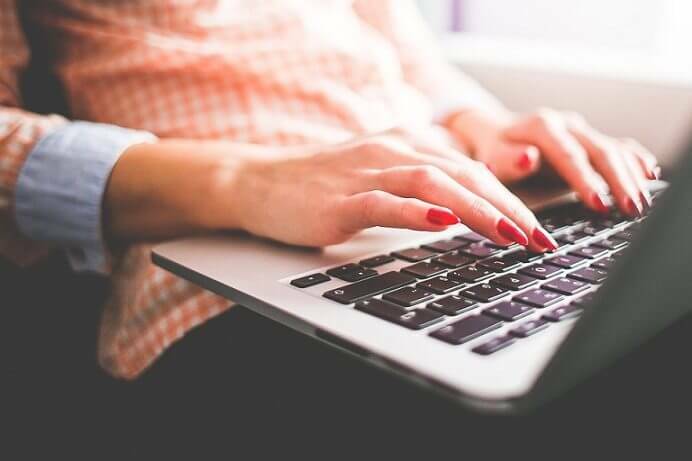 There are very few ongoing costs with freelance writing and you’ll tend to refine your skills as you go, earning higher pay per word, and selecting high paying, long lasting jobs, leaving less ideal work for the newbies trying to establish themselves. There are many ways to earn as a freelance writer. Some of these are easy to get started earning, others take more time and practice. Writers often use a combination of these depending on their skills and needs. Sites like Upwork and Freelancer.com specialize in matching freelancers and clients to one another. You can check out our full review of Upwork for more details about the processes. The sites are highly competitive, with a large number of writers competing for the same work. Pay rates also vary dramatically. But, there are some tips that can help you win bids on the sites and get good work that pays well. The sites can sometimes be a way to find long-term projects and clients. The largest limitation is the effort required. You may need to bid on many different projects to even get one paying job. It also takes time to build up a reputation and get consistent work that pays at a decent rate. I'm currently reviewing lots of freelance writing websites to find out which is best. Unfortunately, I've had several writers take on the job and then quit, so it's slow going. So far, UpWork is the #1 choice, but I'll update as more options become available and recommended. Some places will also advertise for writers. For example, sites that regularly post content often have a section that tells you how you can become a writer. The process isn’t always simple and work isn’t guaranteed. But, this is another way to get your foot in the door. These companies tend to also be competitive, and may require that you submit an article for free, just to be considered for the job! Other companies may advertise through more conventional methods. For example, I’ve seen ads on job sites that are looking for writers and even in local newspapers, from time-to-time. You can also source clients directly. Running your own website is one way to do this, especially if you can get traffic to it. Producing regular content on the site also highlights your writing skills and basically creates a portfolio for you. This is particularly powerful if you want to write for bloggers. Don't forget you can promote yourself on social media too. Twitter, Instagram, Facebook..these are all options for finding people that need writers for their websites, business, or books. Branding yourself as a savvy internet marketer can also open up opportunities to manage businesses's social media accounts, search engine optimization, or content editing. Sites like Craigslist are another option, along with any type of message board. You can also build profiles through sites like LinkedIn and attract interest that way. These approaches provide ways to promote your services directly. But, you will get a mix of clients. Some may pay well. Others may simply be frustrating. Many times you'll have to combat scams. One under-utilized approach is to target the clients you want to work for. This would mean pitching your work to clients via email and convincing them how you can help their business grow. This is a great method of finding high paying clients, ones that aren’t trying to pinch pennies. However, you will get a lot of rejection, so it takes a lot of persistence to just one job with this method. It's certainly not without its drawbacks! Targeting clients like this also lets you pick the type of work you want. For example, you might focus on relatively small local businesses that have barely any online content. It would be easy to pitch writing work to them, especially if you can highlight how it would promote their business. If you are passionate about the topic of their website, it will easily show in your introduction email, and stand out among the hundreds of other emails they get every month asking to do “guest posts for links”. But, you do need to be confident in your skills to target clients in this way. It’s often best to start off with the simpler techniques and move to this idea once you’re getting regular work as a freelance writer. There are also some places where you can earn money – but the potential isn’t high. You’ll often be earning little for your work and competing against many others. Even so, these can be a good way to learn the freelancing market and to improve your skills. In some situations, the income provided (low as it is) may be important as well. Many sites will pay per article. The styles vary. In some cases, you need to get accepted as a writer first and then propose articles. If they accepted, you would get paid for the article. The amounts are often between $10 and $200. This style can be effective if you find the right site and can figure out what exactly they expect. You may even be able to get consistent writing work from them. But, the competition is often fierce and you need to do considerable legwork to get rolling. Other sites allow you to pick articles from a selection. Such sites often focus on producing large amounts of content for clients (often bloggers). As a result, the writing can be lower quality but it pays relatively little as well. For example, the site Zemandi averages between $0.40 to $0.60 per 100 words for beginners and articles are often 500 words or so. Sites like this can be a source of income but they’ll never provide you with much. Your work may get rejected from time-to-time as well, reducing the amount you earn per hour. Some places like iWriter are well known content farms, and likely won't pay a living wage in the western world, but are good options for someone in a developing country with a good level of English. Other sites allow you to post articles and pay you based on the advertising fees that they receive. Some of them require you to submit articles for approval first or to write in specific topics. But, others simply let you create a profile and write about anything that you want to. These sites are interesting, but they typically aren’t very profitable. Writers typically find that most of their posts don’t earn anything at all. If you do earn from a post, it typically won’t be much. There are exceptions, of course. You could earn a decent amount if a post goes viral or gets linked to by some powerful sources. But, the odds of that happening are low. Most bloggers simply don’t earn much from this type of site. One potentially interesting way to get paid to write a blog is a new cryptocurrency-integrated blog network called Steemit. The system is a little complicated, but it's definitely possible to make money with Steemit. If you don't want to get involved in crypto, you probably want to avoid this blog network for now, but they do show some interesting potential for making money. Freelance writing is a large field and writers differ in their skills and expertise. The type of writing that you do will influence how much you earn, along with the skills that are needed. Blogging and Content Creation. Many bloggers look for people to create content regularly. This is one of the lowest skill options for writers and there is plenty of work to go around. But, it helps to have some knowledge or experience in the field that the site owner is focusing on. Online Copy. Copywriting is a related field but the focus is on sales. You don’t need any specialized skills, although experience often helps. This type of writing is also more person-specific, and you'll have to work closely with the client to achieve their vision. News Reporting. Some sites still look for people to write news articles. You’ll often need a background in journalism or some unique angle to get involved – and there aren’t many jobs out there. Still, it’s an interesting field. Companies often provide details about how to apply and you can also pitch your work directly to editors. Academic Writing. Some freelance writers focus on writing for students and professors. The skillset required varies depending on the level that you’re writing for (g. first-year college vs. a master’s thesis). The work is in a gray area legally but many sites facilitate it. Professional Writing. This can include areas such as writing proposals, press releases and formal letters. You’ll often need some knowledge of the field that you’re writing in and the audience. Non-Profit Writing and Grant Proposals. This is a specialized skill set, one that requires knowledge and experience. But, if you know the field, there are plenty of companies that need the work. Book Writing. Some places also need books written or edited. The work is typically ghostwriting, so you won’t get credit for your writing. Jobs are often large and they can be hard to get as a consequence. On the plus side, you don’t need any specific skills. Medical, Scientific or Technical Writing. These fields require much more background and experience. The writing is typically more formal as well and tends to need a larger amount of research, but, the pay rate is also higher. As a general rule, the more education and experience required a job work, the higher the pay. The competition also tends to decrease as the complexity of writing increases. After all, most people can write a blog post, relatively few have the background needed to write a grant proposal. One other consideration is the duration of your work. You can often find large one-off jobs. For example, a client may pay $500 for a set of articles on a given topic or you might be paid to complete an entire guide or book. This type of work can be a good source of income. In my opinion, long-term work is often better. With long-term projects, you’re working for the same client consistently. The type of work you’re doing is often similar as well. This makes it easier to develop rhythms and routines. Plus, if you write about the same subject over and over, you'll be spending less time on research, as well as be able to write more freely and creatively as you become more knowledgable on the subject matter. You might also end up with a combination of the two. When that happens, the long-term work acts as a good source of stable income, while the short-term work might be more interesting and could potentially pay more. Most people can make some money as a freelance writer even with basic writing skills. Here are some strategies to get you beyond the basic skills of writing! As a writer, you need to create something that matches what the client asks for and what they expect. To do this, you need to follow their instructions closely. This may include asking for additional details, especially if they’re vague. Don't forget, sometimes the person hiring you is an amateur project manager. They might not know how to give you proper instructions so you can do your job well. It seems strange to have to coach your “boss”, right? But sometimes it's necessary! Doing so is particularly important the first few times you interact with a client. People often make different assumptions and many don’t think their instructions through. For example, some clients have a very specific article in mind and only offer vague instructions. When the article doesn’t match what they wanted, they can get angry and are frustrating to deal with. Other clients may provide vague instructions because those are all the parameters needed. As long as the piece follows those instructions, they’re perfectly happy. Once you’ve had the same client for a while, it becomes easier to predict what they’re going to want. Until then, make sure everything is clear. It’s tempting to charge low rates as a writer, especially when you have your own clients. That may even be necessary when you’re a beginner and trying to get started. But, as you become more experienced, you need to raise your prices. If you don’t, you’ll never get very far in the industry. Higher prices also signal quality. They show people that you provide value and they can help you land better and more impressive jobs. Besides, if your prices are too low, you often end up with low-quality clients. These clients are often trying to save as much money as possible. Many will be demanding, frustrating and unrealistic. If you’re quoting a price, focus on the quality and service that you provide. Make sure people know why you’re worth the fees you charge. This will often involve providing samples of your work. This is another reason to have your own site. Promoting recently written, high quality content could be the thing that differentiates you from another writer competing for the same job. At the same time, this provides privacy to your previous clients, which is an under-appreciated service offered! Any job can potentially turn into a long-term source of income – often when you least expect it. Even when it doesn’t, your relationship with the client can make it easier to land future work with them. This means that you should always put your best foot forward. Focus on providing high-quality work and over delivering on your promises. Doing so makes you look good to your client and can increase your reputation in the field. In fact, freelancers often get work via word of mouth. If you manage to impress one client, they may refer someone else to you. I've had several projects that ended for whatever reason (that wasn't the freelancers fault), and recommend them as my blogger buddies ask me if I have a good writer to recommend. Freelance writing often works like home repair and handymen. A job well done leads to word of mouth recommendations. Many writers quote their fee based on how long writing will take them. This is a horrible business strategy in my opinion. For one thing, customers will shy away from any rate that feels high. Quoting an hourly rate also means you’re penalized if you work efficiently. Never thought about that one, huh? Quoting project fees instead is a much better strategy. Your clients don’t need to know how long it will take you to write a piece of content. You’re getting paid for what you produce, not how long it takes to do it. This changes for projects which require special types of research, or other tasks not related to writing. If you need to do formatting, linking, or uploading pictures/videos, you can choose to go hourly, but as a client, I prefer to know the price per word or price per project, and then a separate fee for the non-writing tasks. For example, $0.04 per word and $10 extra to upload and format to WordPress. That way my costs are clear, and I can accurately decide if the article will be profitable for me to publish. As a freelancer, the way you appear is everything. For example, having an up-to-date LinkedIn profile and a website can make it easier for customers to see the quality of your work and your professionalism. Have a high quality image, and all your profile filled out on the site you're sourcing clients from. These little things make a difference in a competitive environment. Even something simple like having a matching photo between your website, your profile, and your Gmail account can say, “I'm a professional” vs “I'm just looking to get paid”. Writing well is a critical aspect of being a freelance writer. But, speed is just as important. If you’re charging by the project, improving your speed is a sure-fire way to increase your income. Writing fast isn’t as difficult as it sounds either. Focus on creating a first draft as efficiently as you can. Don’t stress about precision. Instead, just get the words down on the page. Once the draft is done, you can go back to edit, tweak and fill in any gaps. It's been proven over and over again that this is a faster way to write, and helps prevent “writers block”. Some research will be needed for most writing jobs. But, you can easily spend too much time in the process. Don’t spend hours upon hours researching for a short article, especially not if you’re getting paid by the project. On the other hand, if you’re writing academic or professional content, your research time will be much higher. For example, if you were writing a review of scientific literature for an organization, you would put more time into research. But, your fee would be higher as well. If an opportunity sounds too good to be true, it probably is. Many sites offer poor quality writing opportunities, where you’re earning next to nothing for the work that you do. Others make bold promises but have little substance. I’ve reviewed many such writing opportunities in the past and found that they often underperform. Some people never get off the ground with freelance writing. They get stuck on the low paying jobs and revenue sharing sites. To be truly successful, you need to be willing to grow and to learn. You also need to seek out clients and build relationships. The process is very achievable in the online world, but you have to be persistent. Freelance writing is still a job, like any other, and it takes time and dedication to build a profitable business.